Madrid (Spain) – May 13, 2017 (travelindex.com) – The 105th session of the UNWTO Executive Council, meeting in Madrid on 12th May 2017, recommended Zurab Pololikashvili, Ambassador of Georgia in Spain, as a nominee for the post of Secretary-General for the four-year-period starting January 2018. The candidature of Zurab Pololikashvili was presented by his country, Georgia, in accordance with the UNWTO statutes. This recommendation will be submitted to the 22nd UNWTO General Assembly for ratification (11-16 September 2017, Chengu, China). However, news circulated in Madrid that the African Union had issued a letter to threaten unreasonable sanctions on Seychelles if the Government did not withdraw its candidate for the position of World Tourism Organization (UNWTO) Secretary-General, Mr. Alain St. Ange. Seychelles President Danny Faure wrote to Taleb Rifai, the Secretary General of the UNWTO to request the withdrawal of the candidature of Alain St.Ange, the Seychelles endorsed candidate for the post of Secretary-General of the UNWTO based on this African Union letter. St.Ange himself referred to this Seychelles resolution in his emotional address at the UNWTO and met with several of African Ministers who were in Madrid for the UNWTO meeting. “This African Union document was sad for our islands and for Africa. It is recalled that Seychelles has in the past been sanctioned by the Africa Union, and the sanctions remained in force for many years. The reason for the sanction (suspension of membership) was non payment of contributions to the AU by the Seychelles. The sanctions did not affect Seychelles in any way – Seychelles kept attending meeting but had no right to speak and was present only as an observer. After a number of years Gadhafi of Libya settled the Seychelles arrears (and that of a number of other countries) and he declared himself as the King of Africa!!! Many sanctions were imposed by the AU on dictators in Africa who did not respect the outcome of elections and sanctions were imposed and guess what —- it did nothing to change the result or behaviour etc. perhaps Seychelles should have considered to withdraw from AU. Anyway it is a shame that a Seychelles Cabinet Ministerial meeting is called in response of a letter unsure who signed it calling a low level representative of Seychelles in Addis Ababa to attend a meeting chaired by a low level official of the AU. 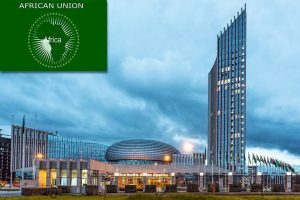 If it was a genuine call of sanctions, it should have been the African Sanctions Committee together with the highest level official of the AU. This was in total disrespect to procedures, it was unprofessional and gross irresponsibility with reckless behaviour by Seychelles government. Shame on them” said Alain St.Ange as he left Madrid.